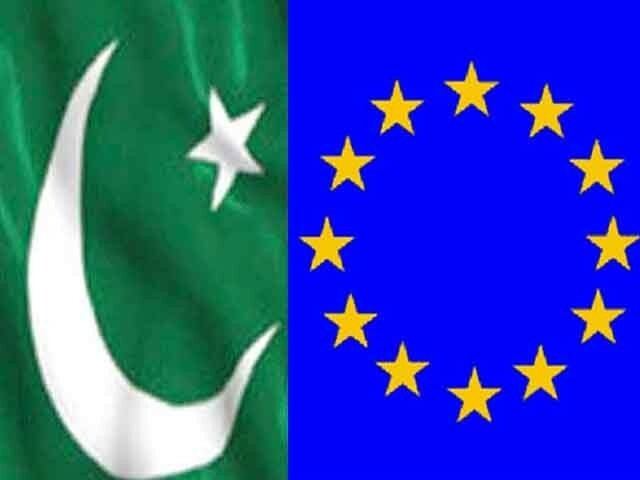 Pakistan and the European Union (EU) finalised a strategic engagement plan on Monday, Radio Pakistan reported. Aimed at promoting durable economic development, the understanding came at the strategic dialogue held at the Foreign Office in Islamabad. The engagement plan lays particular emphasis on partnerships in the fields of trade, investment and energy. 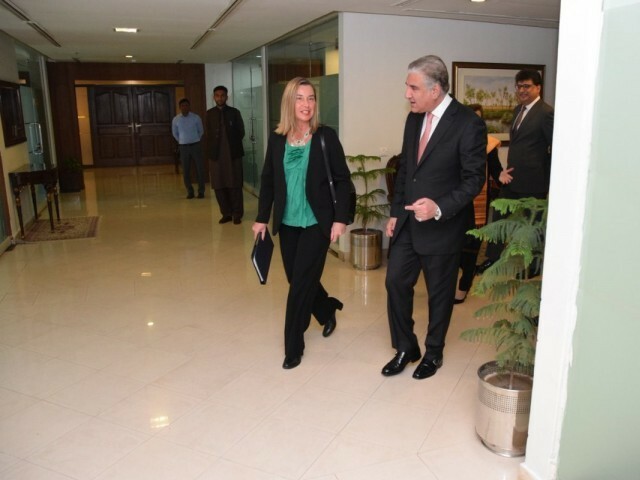 The visiting delegation was led by EU Representative for Foreign Relations and Security Policy Federica Mogherini, while Foreign Minister Shah Mehmood Qureshi led Pakistan’s negotiating team. “Today, I would like to announce that Pakistan and the EU have agreed on a new strategic engagement plan. This immense achievement comes after some tedious negotiations and, once further due process is completed, I will be heading Brussels to sign the agreement,” FM Qureshi announced at a joint press conference with Mogherini. The EU foreign policy chief hailed Pakistan’s progress towards democratic stability and the reforms agenda of the Pakistan Tehreek-e-Insaf-led government. Qureshi said he also apprised the EU delegation about the steps taken by Pakistan to fulfill FATF commitments as well as the steps taken to cleanse the tribal belt. 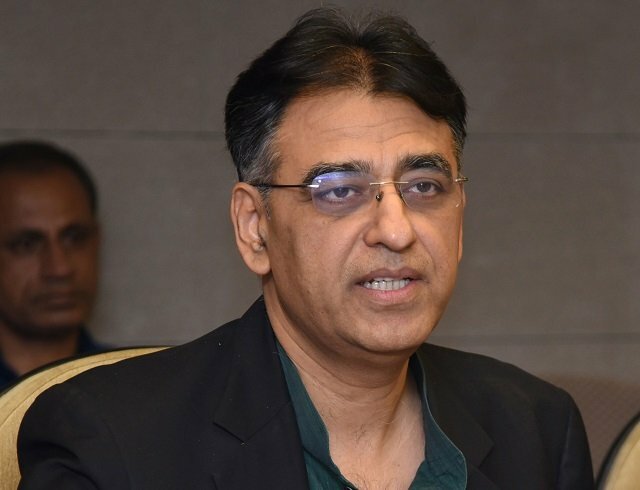 The minister said both the sides also held discussions on the INGOs. He pointed out that 75 INGOs are registered and working in Pakistan. He also informed the EU delegation that Pakistan is open in engaging with India to resolve all out outstanding disputes through a sustained dialogue as it is the only sensible way to go forward. Qureshi said both the sides are also convinced on it that solution lies only in dialogue. He stressed that atomic neighbours going to war will only be madness. 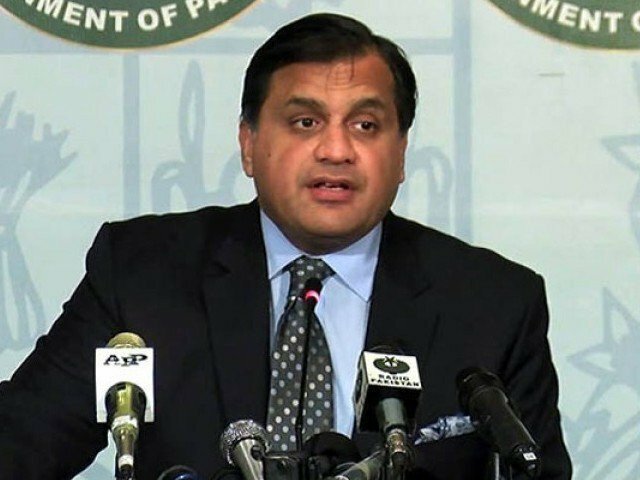 The minister said Pakistan has demonstrated restraint and gave a measured response. He said we took various steps to deescalate the tension including the immediate release of captured Indian pilot. He said the world is not oblivious to the steps that we took including that of sending back our high commissioner to India and restoring the hotline between the military directorates. On Afghanistan, he said the European Union delegation shared Pakistan’s concern for peace and stability in that country. He said that there is no military solution to the issue of Afghanistan. He said the EU delegation appreciated Pakistan’s role in the Afghan reconciliation process. About Iran, Shah Mahmood Qureshi said that the Pakistani side informed the EU side that being a nieghboring country, Iran is very important for Pakistan. Mogherini said the new Strategic Partnership Plan will lay a strong foundation for the partnership between Pakistan and the European Union and further boost their future cooperation. She said there was a convergence of beliefs between the two sides on many issues, including Afghanistan. She said both sides agreed to work together in many fields. She said the European Union fully supports Pakistan in its drive against the terrorists.